Examining Benjamin Graham’s Record: Skill Or Luck? 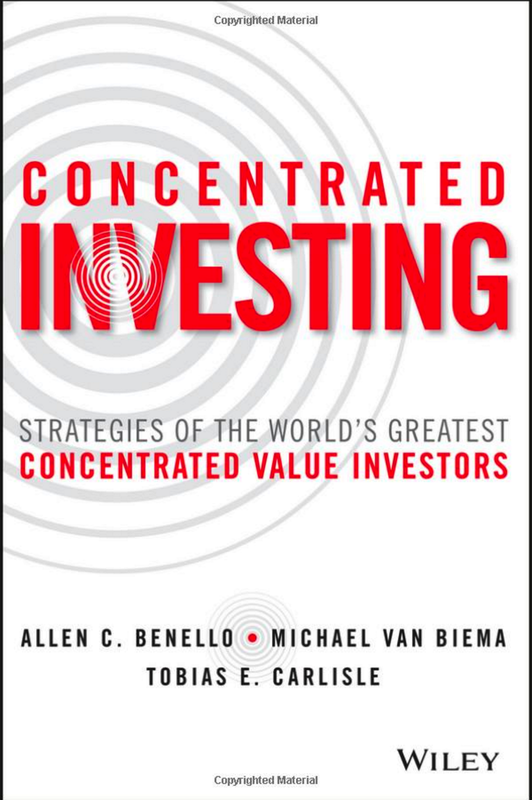 We tend to think of the greatest investors – say, Peter Lynch, George Soros, John Templeton, Warren Buffett, Benjamin Graham – as being mostly or entirely skillful. Graham, of course, was the founder of security analysis as a profession, Buffett’s professor and first boss, and the author of the classic book The Intelligent Investor. He is universally regarded as one of the best investors of the 20th century. But Graham, who outperformed the stock market by an annual average of at least 2.5 percentage points for more than two decades, coyly admitted that much of his remarkable track record may have been due to luck. Known as the “Father of Value Investing”—and the mentor of Warren Buffett—Graham’s investment firm posted annualized returns of about 20% from 1936 to 1956, far outpacing the 12.2% average return for the broader market over that time. But the success of Graham’s approach goes far beyond even that lengthy period. For nearly a decade, I have been tracking a portfolio of stocks picked using my Graham-inspired Guru Strategy, which is based on the “Defensive Investor” criteria that Graham laid out in his 1949 classic, The Intelligent Investor. And, since its inception, the portfolio has returned 224.3% (13.3% annualized) vs. 43.0% (3.9% annualized) for the S&P 500. Even with all of the fiscal cliff and European debt drama in 2012, the Graham-based portfolio has had a particularly good year. While the S&P 500 has notched a solid 13.7% gain (all performance figures through Dec. 17), the Graham portfolio is up more than twice that, gaining 28.5%. Reese’s experiment might suggest that Graham is more skillful than lucky. What’s needed is, first, a definite rule for purchasing which indicates a priori that you’re acquiring stocks for less than they’re worth. Second, you have to operate with a large enough number of stocks to make the approach effective. And finally you need a very definite guideline for selling. Graham said that his research suggested that this formula returned approximately 15 percent per year over the preceding 50 years. He cautioned, however, that an investor should not expect 15 percent every year. The minimum period of time to determine the likely performance of the strategy was five years. Graham’s simple strategy sounds almost too good to be true. Sure, this approach worked in the 50 years prior to 1976, but how has it performed in the age of the personal computer and the Internet, where computing power is a commodity, and access to comprehensive financial information is as close as the browser? We decided to find out. Like Graham, Wes and I used a price-to-earnings ratio cutoff of 10, and we included only stocks with a debt-to-equity ratio of less than 50 percent. We also apply his trading rules, selling a stock if it returned 50 percent or had been held in the portfolio for two years. 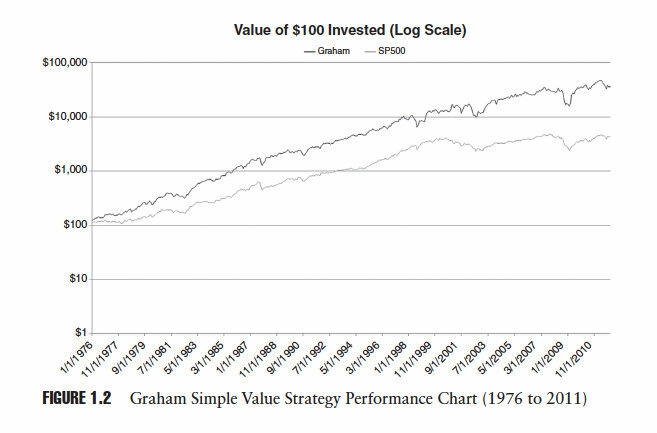 Amazingly, Graham’s simple value strategy has continued to outperform. Graham’s strategy turns $100 invested on January 1, 1976, into $36,354 by December 31, 2011, which represents an average yearly compound rate of return of 17.80 percent—outperforming even Graham’s estimate of approximately 15 percent per year. This compares favorably with the performance of the S&P 500 over the same period, which would have turned $100 invested on January 1, 1976, into $4,351 by December 31, 2011, an average yearly compound rate of return of 11.05 percent. The performance of the Graham strategy is attended by very high volatility, 23.92 percent versus 15.40 percent for the total return on the S&P 500. The evidence suggests that Graham’s simplified approach to value investment continues to outperform the market. I think it’s a reasonable argument for skill on the part of Graham. 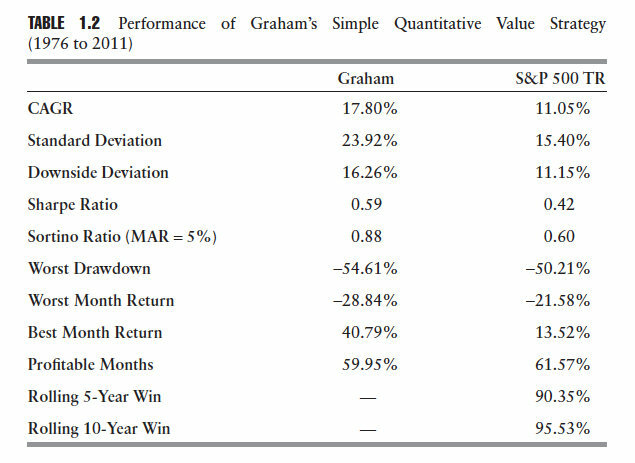 It’s useful to consider why Graham’s simple strategy continues to outperform. At a superficial level, it’s clear that some proxy for price—like a P/E ratio below 10—combined with some proxy for quality—like a debt-to-equity ratio below 50 percent—is predictive of future returns. But is something else at work here that might provide us with a deeper understanding of the reasons for the strategy’s success? Is there some other reason for its outperformance beyond simple awareness of the strategy? We think so. 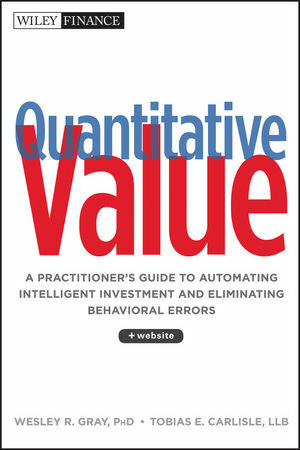 Graham’s simple value strategy has concrete rules that have been applied consistently in our study. Even through the years when the strategy underperformed the market our study assumed that we continued to apply it, regardless of how discouraged or scared we might have felt had we actually used it during the periods when it underperformed the market. Is it possible that the very consistency of the strategy is an important reason for its success? We believe so. A value investment strategy might provide an edge, but some other element is required to fully exploit that advantage. Was Graham skillful or lucky? Yes. Does the fact that he was lucky detract from his extraordinary skill? No because he purposefully concentrated on the undervalued tranch of stocks that provide asymmetric outcomes: good luck in the fortunes of his holdings helped his portfolio disproportionately on the upside, and bad luck didn’t hurt his portfolio much on the downside. That, in my opinion, is strong evidence of skill. Graham suggests that shareholders equity should be more than 50% of the assets. Doesn’t that make the debt to equity ratio less than 1 rather than 0.5? Is this a function of the small stock effect, ignoring transaction costs and the starting date? Unlikely. We used an NYSE 40th percentile cutoff (equivalent to a minimum ~$1.4 billion market capitalization as at December 31, 2011). It’s rebalanced as per Graham’s recommendation (after two years or a 50 percent gain), so transaction costs are unlikely to impact the return much. The rolling 5- and 10-year performance statistics demonstrate that it consistently outperforms the market (Graham beats the S&P500TR 90.35 percent of the time on a rolling 5-year basis, and 95.53 percent of the time on a rolling 10-year basis), so the start date is not particularly important. There are problems with the strategy (inter alia, concentration, drawdown, volatility, all of which require a cast-iron gut) that we detail in the book. Great bit of advice. Just finished reading the Intelligent Investor so this strikes a cord. One thing on the sell side. Does that mean that if the investment did not reach a 50% return within the two year span you sell it? Also for re-adjustments? Would you just continue to add each year? That’s what Graham recommended. There are a variety of reasons why Graham’s strategy is not ideal. We detail those in the book, and propose a better strategy. Great article. The portfolio holds 30 securities or at least 30 securities? If you have 100 securities that meet the criteria, how do you choose the 30 that go into the portfolio? Is it just the lowest P/E’s? Thank you. That’s an issue we cover in the book. It’s difficult to fill a 30 stock portfolio. The average is around 21 stocks over the period examined, but it is sometimes much more concentrated than that. While I’m not claiming he was not skilled, it seems like at least portion of the out-performance can be explained by volatility (beta). You mentioned the higher st. devs but didn’t expand on this. Fama-French value and size factors probably play a role here too. Would be interesting to see the alpha on a multi-factor basis. Yes, and there are other problems, too, that we cover in the book. For example, it can be highly concentrated. Note that Sharpe and Sortino are much improved over the market, so the return more than compensated for the elevated volatility. Great article that I had to tweet straight away! Clearly the skill part of this strategy is the ability to stick with it through the troughs as well as the peaks. With today’s computing power and access to screeners with high data accuracy, investors no longer need to use ‘elaborate techniques of security analysis’, IF they can stand the losses that come with it. Agreed. The difference between success and failure is not knowledge, but behavior. It’s simple, but it’s not easy. on January 9, 2013 at 3:57 pm | Reply Ben Graham: Skill or Luck? The hardcover is the only version available now. We have been told that the Kindle version is on its way.